Looking for a bit more space on the road? Worried about leaving your hive tools in the car sometimes? Perhaps we can help! Six 5x5 stickers: $20, shipping and tax included. 4 3x3 stickers, $5, shipping and tax included. Please contact us directly for pricing on larger orders. 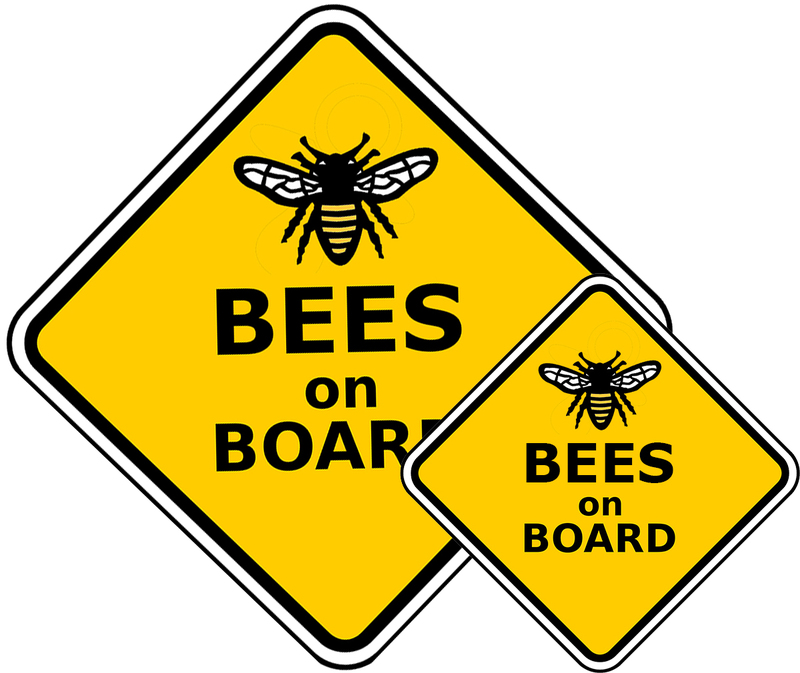 Profits benefit the community projects of the Center for Urban Bee Research, a 501(c)3 educational nonprofit based in Washington, DC.